Sold individually (375 ml bottle). Mild Fruit Vinegar Tasty in cocktails, salads, dressings, yogurt or as a basis for a healthy soft drink. Shake well before use. Ingredients: 43% vinegar, concentrates ( 30% pineapple, 10% passionfruit), white wine. Nutrition: Per 100mls: Energy 487kj/117kcal. Fat 0.3g (saturated 0g). Carbohydrates 22.1g (sugars 19.9g). Protein 0.9g. Salt 0g. 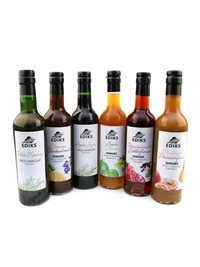 Ediks changes your view on vinegar. These soft mild vinegars have a surprisingly soft taste and low acidity. As a result, you do not need any extra sweeteners to mask the acid of the vinegar and your freshly processed ingredients are even better. 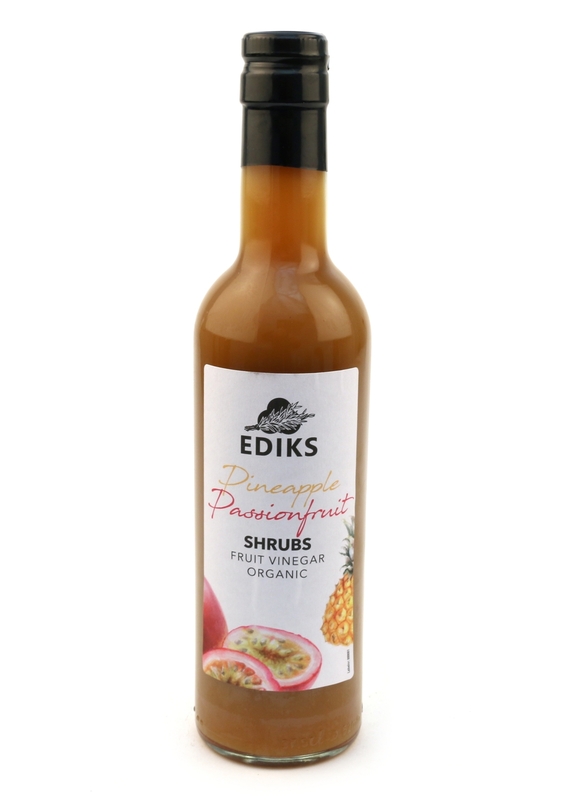 The vinegars are developed from natural fermentation. Without added sugars or fragrances, colors and flavors. 100% Biologically. 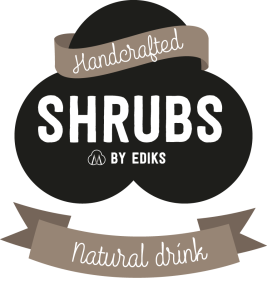 Besides the mild vinegars, Ediks also offers Shrubs Fruit Vinegars. 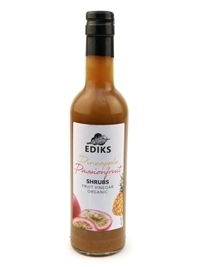 These soft fruit vinegar syrups contain, just like the vinegars, only natural raw materials. A perfect alternative to sweetened soft drinks.